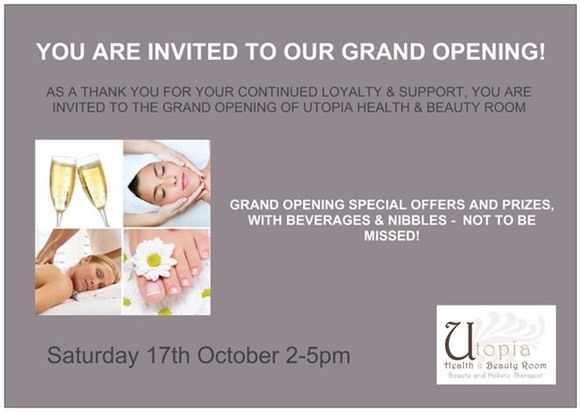 Following on from the succuss of her�popular health and beauty salon in Carshalton,�Local Mum Zoe Highett-Taylor is expanding her business with the launch of a brand new�Utopia Health and Beauty Room. Zoe decided to open her own salon after becoming an established therapist working in a health club and High Street salon in Chelsea and Battersea. “Zoe’s treatments are always superb,”�says Local Mum Laura.�“Now she has a beautiful new venue - as well as her wonderful smiley face - it’s perfect! My favourite treatment is her�sleep-inducing facial." Zoe is a Carshalton Mum who loves spending time with her family and friends and enjoys volunteering for various good causes. She has a passion for theatre, dancing, travelling, meeting new people and experiencing different cultures.�Her passion for the beauty and holistic industry evolved whilst taking a year to backpack around Australia, New Zealand, South Pacific Islands and America.